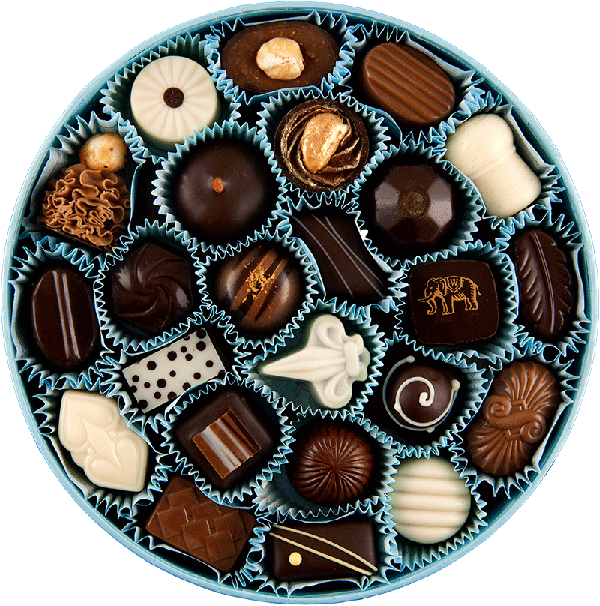 The Traditional Assortment provides the broadest selection of our chocolates including delicately filled shells of dark, milk and white chocolate. Your box may include: Fresh Mint, Dark Hazelnut, Pecan Caramel, Praline Noisette, Brown Butter Ganache and Mocha Cream, though boxes vary. Please see our index of chocolates for descriptions. Our chocolates are best when consumed within 7 to 14 days of delivery.